For millennia, Buddhist traditions have considered compassion an integral component in support of awakening. Contemporary scientific research offers modern practitioners new insight into how compassion emerges in the mind and the brain and how it affects our nervous system, physiology and the body. In this course we will investigate some of the findings of recent research and explore their relevance and importance for our practice by a close comparison with various teachings from the Pali canon and Tibetan sources (eg. Shantideva). By sitting with these traditional inspirations, we will directly correlate our personal meditation practice with the insights gained from modern scientific exploration. This program will be taught primarily by Diego Hangartner. 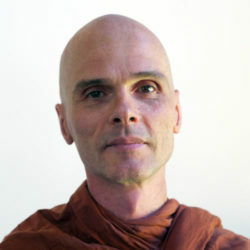 Bhikkhu Analayo will be offering guided meditations on Friday and Saturday mornings. In addition, he will be available for a question and answer period on Friday and Saturday evenings. To become familiar with compassion practices from traditional Buddhist sources; understand the importance of combining traditional compassion training methods with modern approaches to compassion (such as self-compassion); and how to differentiate compassion and empathy. Diego Hangartner has dedicated over thirty years to external scientific research and internal meditative exploration of the mind and consciousness. 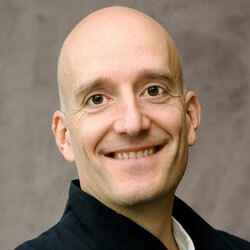 Diego was COO of Mind and Life Institute in the US and co-founder and director of Mind and Life Institute in Europe until 2015. Today, he continues his research and teaching with the Max Planck Institute, ETH (The Swiss Federal Institute of Technology) and Zurich University. Diego also founded the “Institute of Mental Balance and Universal Ethics” (IMBUE), an interdisciplinary initiative, to develop and provide tools and programs that foster mental balance.